Welcome all rally enthusiasts to season 3 of the DSRL Rally Championship on XB1! This season will feature the 1970's RWD class cars in a drivers only championship. S3 of the DSRL RC starts Thursday, September 7th, and consists of 6 quickfire rounds over 6 weeks. Each round will be open to run for 7 days and then immediately move onto the next scheduled rally. The season ends October 19th. The format this season will be similar to season 2 with more of a sprint style but changed up a little for variety. Each rally will now run 5 short stages first, with a longer 6th last stage at the end to battle through to make the finish (S-S-S-S-S-L). Service areas for tuning/repairs will be found on Stages 1, 3, and 6 of every round. *Finishers below 15th or any event DNFs will not receive championship points. *This championship will be hosted and organized through Codemaster's Racenet, so an active account is required to enter. The sign up for This account should have been created when you first played the game and it can be accessed through the Xbox browser under the "leagues" tab. It is advised you become familiar with navigating the site and league area if you haven't looked at it yet. *PLEASE take a screen shot of your final event finish times. 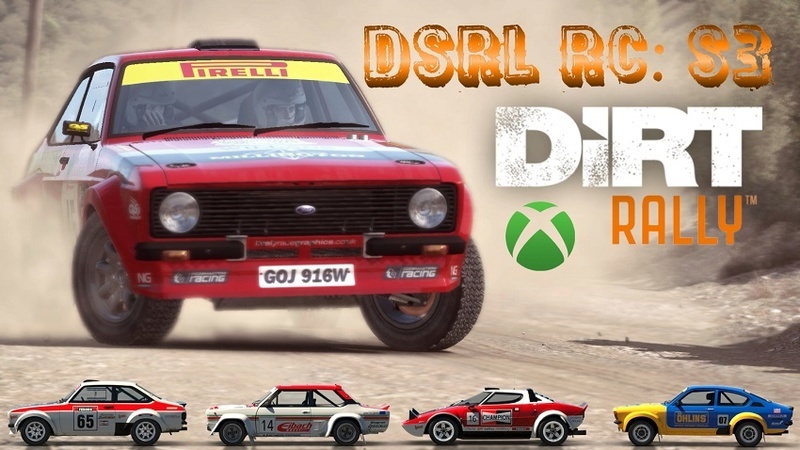 You are encouraged to post your Final time screenshot in The DSRL Xbox club activity feed, along with a brief description of your Rally if you choose! *This is a privateer only event, there will be no teams permitted. *Racenet may show a 7th round at Pikes Peak, this is not part of the official championship. It is merely to add a cool down period and allow admin to collate all the info from rounds 1-6. *As there is no way of the league hosts directly controlling settings such as assists, views, HUD etc. in Dirt Rally, these will be down to player personal preference. *Once the championship starts, car choice cannot be changed. *Number of signups is unlimited and registration will remain open to new entries throughout the season. *We expect any sign ups to participate in all scheduled rallies as they are each going to be live for a whole week. If you know you are going to miss an entire scheduled round we would ask that you message a DSRL admin/organizer and let them know beforehand. *Existing DSRL RC Racenet members from previous seasons must sign up for the current active season in order for any rally times/ points to be counted towards the championship. **Organizers may be required to force a regulation change at any point in the season if there are unforeseen issues with the championship format, this is unlikely but will be made clear to all who sign up if it is necessary. 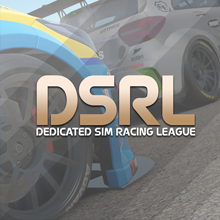 IMPORTANT: When you have complete the signup form, Search for "THE DSRL RC" on racenet or follow this link https://www.dirtgame.com/uk/leagues/league/66869/the-dsrl-rc and your request to join will be accepted if you are not in already. I have read and understand the rules: absolutayuparino neighbouradilddlyo! DynoMight Racing wrote: No Dirt 4? Oh well, I didn't buy Rally. DynoMight Racing wrote: Oh well, I didn't buy Rally. Toast has a Dirt 4 Cbox Club you could join? Codemasters still haven't made racenet leagues available for Dirt 4 so has to be Dirt Rally again for season 3 , you should get it though... its a fantastic sim if using a wheel. We may try a Dirt 4 championship eventually but that also depends if they fix up some of the patchy inconsistent "simulation" rallying physics. I have read and understand the rules: yes! Schedule update and entry list updated!